TAIWAN: German utility-developer EnBW has acquired a 35% stake in three offshore wind projects in Taiwan, marking the latest in a surge of international companies investing in the south-east Asian island state. EnBW has acquired a 37.5% stake in three offshore sites, with the potential to hold up to 2GW of capacity, from partners Macquarie Capital and Swancor Renewable. The three projects are located off west Taiwan's Changhua region and were awarded environmental impact assessment approvals in early February. The projects are in the process of gaining grid connection agreements, EnBW said. It is the first time EnBW has invested in renewable power outside of Europe, the company said. "Under the agreed division of responsibilities, EnBW will take on the majority of the technical project development," the German company said. "For this purpose, EnBW has already provided its own personnel on site in Taiwan for the joint team, which is supported by experts from the EnBW offshore office in Hamburg. A local skilled workforce will is also be established, with employees trained and qualified by EnBW," it added. 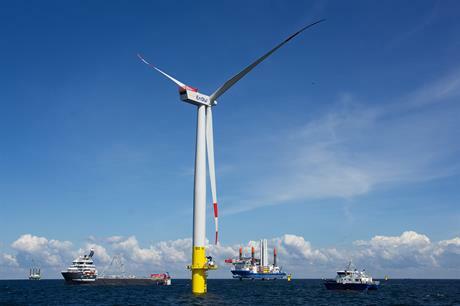 According to EnBW, it has installed 336MW of offshore wind, with a further 610MW under construction and 900MW further in the pipeline. The firm won the licence to build the 900MW He Dreiht offshore wind site off Germany's North Sea coast in April, after submitting a zero-subsidy bid. "In moving into project development in Taiwan, we have opened the latest chapter in our offshore wind activities. The expertise that we have built up in the offshore wind sector in the last few years is in demand worldwide, and we want to export it. "That is why we are also directing our sights at new international offshore wind markets that offer growth opportunities and an attractive economic environment, so that in a first step we can start by developing selected projects ready for construction", said EnBW head of generation portfolio development Dirk Güsewell.